Another Step Forward For SpotMini. Boston Dynamics has progressed even further with SpotMini, now it will open doors to lets its friends through. 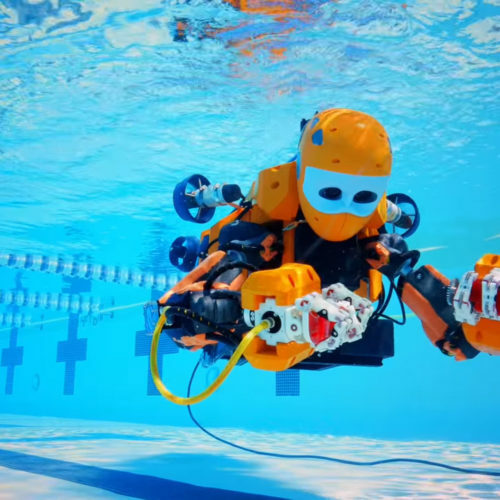 The company is well known for producing robots that can walk, run, jump and even do backflips like humans, and is constantly improving and enhancing its family of robots. It looks similar to the first SpotMini but has a mechanical arm instead of a head that allows it to grab and pull door handles. When showing it for the first time, a first generation SpotMini approached a door, which it could not get through. Along comes a new version, which opens the door to let them both through, without any human intervention. Not everyone is impressed with the amazing things Boston Dynamics have achieved, and some people are spoken out against them. They are concerned that the more developed the robots become, the more likely they are to turn into killing machines, and some go as far as to say they will be what causes the end of the human race. It is very unfair just to blast this particular company though as advances in robotics are being made worldwide, not just in America. The Koreans, Chinese, and Japanese, among others, have all achieved dramatic progress over the last few years, and some of the robots they have produced are more advanced than the ones made by Boston Dynamics. Some developers concentrate on artificial intelligence, and there are now several robots that can hold a conversation with you, have a sense of humor and can figure out problems for themselves. But at the present time, developers tend to either concentrate on AI or on the movements and abilities, and it will be when robotics and AI come together that we will see a real advancement. Imagine the possibilities then. Robots that will look, move and talk like humans and some people are frightened by this prospect. What they have to remember though is that firstly humans program them, and secondly, they do have an on/off switch. They also have energy limited to the life if their charge, which currently in most cases is not very long. Most robots are developed to help the human race in some way. Robotics is used in the medical world, in factories, in search and rescue missions and in Japan it is being used with helping to care for the elderly. Robots do not have to be a bad thing, when used properly they will make life easier for humans. We will be able to have more leisure time as they take over the drudgery of some jobs, and will be able to help educate our children as well as holding an intelligent conversation with us, without being judgemental. In fact, the list of ways robots could improve the world is endless, and they can do it all without needing light, heat or power for anything except to charge their batteries. 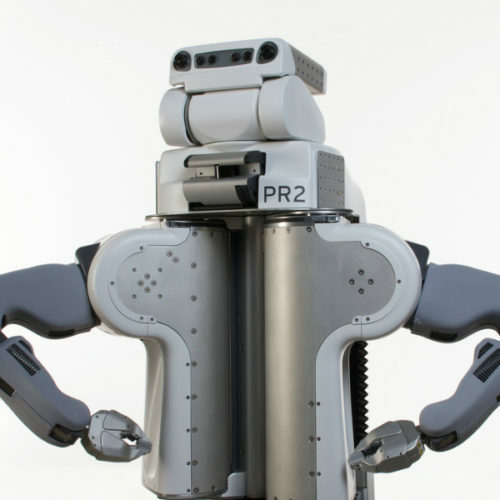 The PR2 is a mobile manipulation platform built by Willow Garage. The PR2 software system is written entirely in ROS. As such, all PR2 capabilities are available via ROS interfaces. 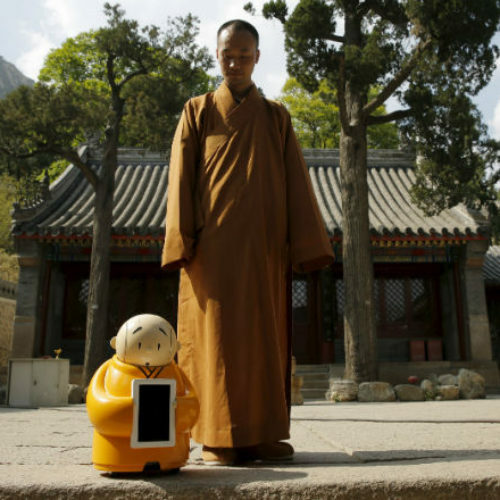 Robots as a spirituality guides?